The Drop Forging Process, also referred to as Closed Die Forging, is a process that manipulates hot metal completely within the wall cavity of two dies. The impression for the forging can be in either die or divided between a top and bottom die. 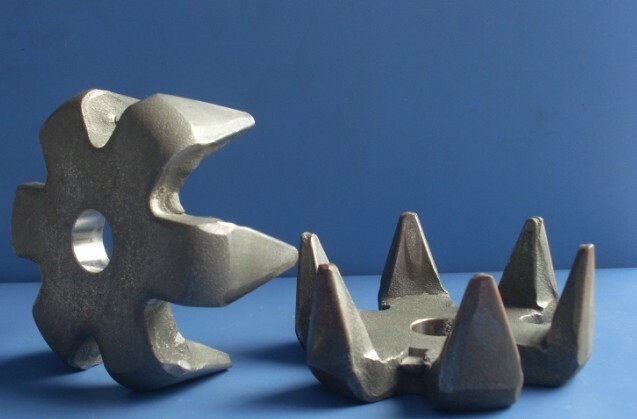 The drop forging process can improves the strength of ball mounts by aligning the grain along the lines of potential stress, which cannot be achieved through casting, machining or fabrication. 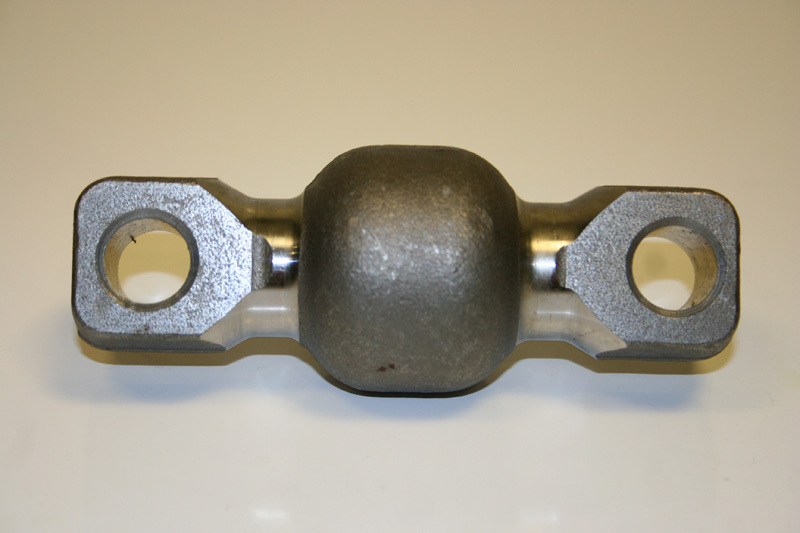 So, drop forging is always used to produce metal components like hitch ball, ball mounts, ect by our customers trailer towing application. Drop Forged Materials selected to produce ball mounts can be either forged steel or forged aluminum. 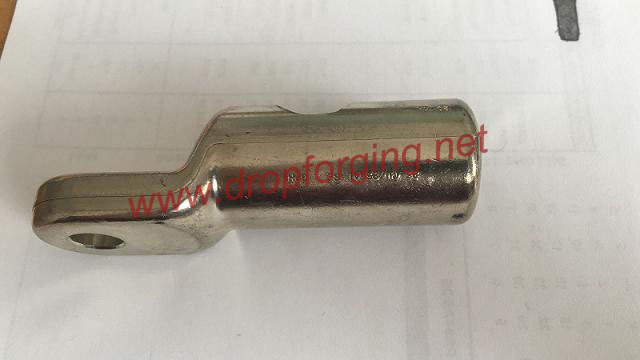 Forged aluminum ball mounts for trailer towing can achieve light weight, but due to the higher material cost, the price of drop forged aluminum ball mounts will be higher than that of drop forged steel ball mounts. As a comprehensive drop forging company, CFS Forge can supply custom service for both steel forgings and aluminum forgings. So, no matter it is forged steel ball mounts or forged aluminum ball mounts, we will be all able to supply in competitive prices. Hot forging aluminum and aluminum alloys holds many benefits for applications. The process does not impede the ability of manufacturers to manipulate and cut aluminum products easily. Therefore, forged aluminum alloys can be cut into distinctly complex or ornate shapes. When hot forged, aluminum alloys demonstrate some mechanical qualities comparable with steel, and the strength to weight ratio of aluminum exceeds that of steel. In addition, aluminum hot forging can produce a number of surface finishes, ranging from very smooth to relatively sharp. Aluminum hot forgings are generally cost-effective and attractive in their appearance. They allow for high design flexibility and in many cases, the exterior part of hot forged aluminum does not require extensive polishing. For all these reasons, numerous industries make use of aluminum forgings. The process especially attracts manufacturers seeking to produce large, customized components using aluminum or its alloys. Forging is the metal processing process that puts pressure on metal billets, which will occur plastic deformation to achieve a certain mechanical properties and desired shape by the use of forging press machinery. Brass is the most common material in copper forging. 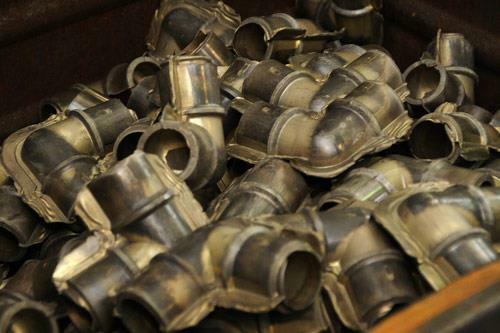 Brass Forging is usually operated under high temperature, we call this hot forging. Brass can have good plasticity both under room temperature and high temperature, but it has better mobility, which will reduce metal deformation resistance. This will not only increase the forgability of brass, but also make brass easy to flow and form. Aluminum alloy, for its advantages of small density, good strength, as well as good workability, has been widely used in various fields. In order to achieve energy saving and weight loss, the United States, Japan and Western Europe and other developed countries are increasing the research and development of aluminum forging technology. 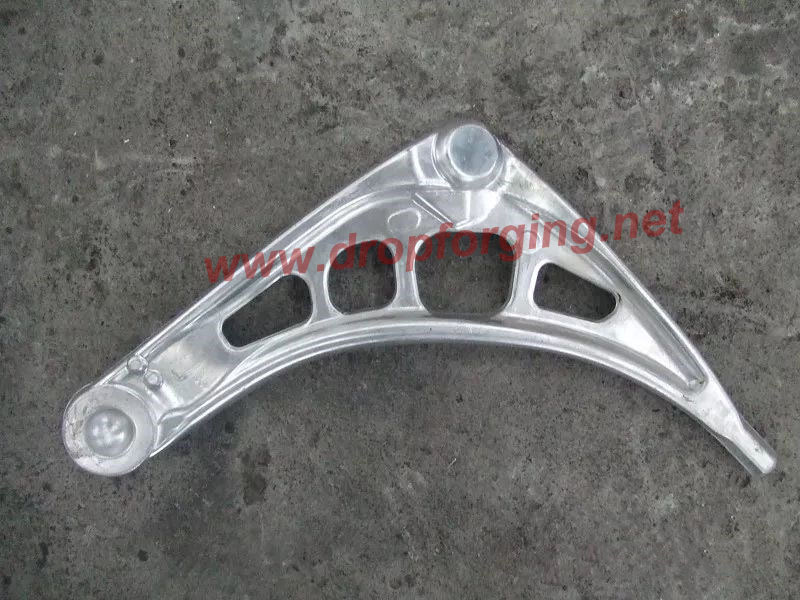 The aluminum alloy control arm is the key component of automotive steering system. In this paper, a precision forging automation production line of aluminium forged control arm is introduced in detail from the view of technology and equipment. 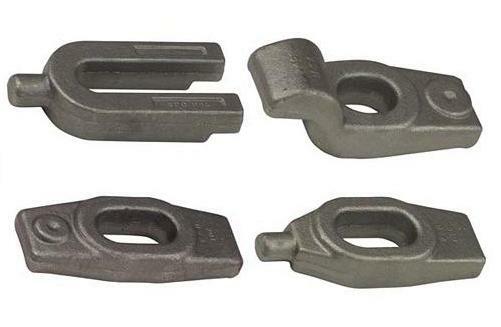 Aluminum forged able lugs are the the metal components mainly in the application of connecting cable and wire conductors in electrical installations and equipment. They are used when permanent, direct fastening methods are not feasible or necessary. In general, aluminum forged cable lugs are fixed to cables and wires while inserting the conductor/s into the barrel (tube) of the device and then barrel is crimped, soldered or welded onto the conductor for secure mechanical and electrical joint. Then, fasten connection end of the lug to connection point by means of a bolt, screw, or spring clip. There are lots of sizes, configurations and material types of aluminum forged cable lugs to suit particular applications. Simply introduction of forging process: Selecting equal specification bars in stock, and cutting them into required length by sawing machine. Heat them to a certain temperature by heating furnace (medium frequency furnace). Next, place them under forging dies and press in few seconds for desired shape. Finally, remove the flash and shot blasting to final dimensions. In most cases, machining will be done after forging. The claw pole is the key part of the motor generator. the material quality and forging forming quality of the claw pole are the key factors that affect the output power of the generator. Forging has the features of high material utilization, dense inner structure and excellent product performance. So forging is the best technology solution for claw pole to replace castings with environmental protection and high quality. Our forging service is provided not limited to claw poles, but for all custom components for the automotive industry, building and construction, engineering, mining, power generation and distribution, communications, government, defence, railways, ports, harbours and marine, the road transport industry, oil and gas/petrochemical, chemical and process plant, aerospace, agriculture, fastener distribution /merchants, tool and engineering / merchant, ect. Unlike casting, forging will increase the strength of forged clamp straps, and can effectively avoid the inner defects caused by casting. That is why forging is used for producing clamp straps. Most important is that, although the tooling cost is high, it is just once paid, and will not be charged in further orders. Also in the long term, the unit cost is low for the large quantity. 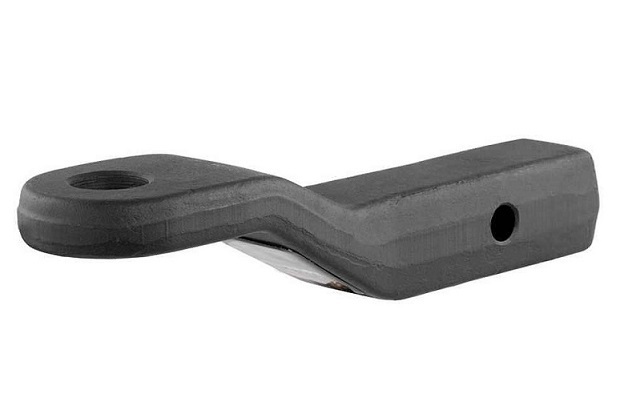 In Summary, Fly Forge is your one stop source for forged clamp straps. Our company can supply forging, machining, heat treatment and surface finish services. Pls contact us if you have a project for forged clamp straps or other related forgings ( for example, drop forged C clamps), we will provide best quality with competitive prices! Over 15 years in exporting closed die drop forgings to overseas companies, we forge the grinder wear parts to our customers' specifications in best wear resistant material. Our in house machining capability can fulfill the machining requirement for your assembling. Take tub grinder teeth for example, forging can not realise all the sizes required, the inner holes has to be machined after forging, so that it can be assembled to the machine by bolt. So it is also called bolt on grinder teeth. To ensure correct application, we will customize a jig for testing. 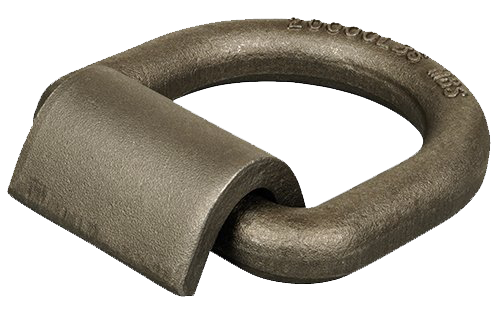 This particular drop forged D-ring is designed to be welded onto a metal frame to add a solid anchoring point for cargo straps, ropes, cables or chains. It features forged steel construction and a capacity of 46,760 lbs., making it strong enough for many commercial and industrial applications. The heavy-duty D-ring and bracket feature a raw finish to be readily welded on, and the ring offers a large opening to accept clevis hooks. Ideally, a D-ring swings freely after it has been secured. D-rings may vary in composition, geometry, weight, finish and load (rated) capacity. Fly Forge is a top closed die drop forging company in China, we can customize all kinds of welded on D-rings with the drawing specification. Besides weld on D-ring, we can also provide bolt on D-ring with our advanced forging process. We aim to provide our customers high quality products with reasonable price. Our high quality is guaranteed by using good quality raw material, advanced forging process and district quality control. All these will help us to deliver qualified products to our customers. So if you are looking for welded on D-ring, or other forged products, pls contact us, we will try our best to offer you our good price first. In terms of temperature, there are different types of forging: hot forging, warm forging and cold forging. Hot forging is the most popular forging process among these forging types. All the forging technique used in Fly Forge is hot forging, so this article we will introduce hot forging in detail. Hot forging, also called drop forging, is a process to produce a wide variety of most metal parts. 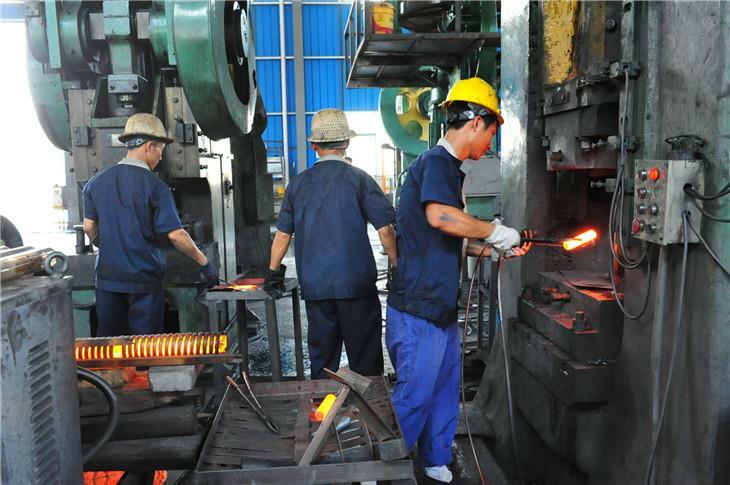 Hot forging process is developed since the last century, but with the development of equipment, lubricants, and forging ability, modern hot forging process is able to make more complex shapes with more materials since that time. The basic procedure for hot forging is relatively simple. Metal bar or billet is first heated into the hot working temperature range to improve ductility. Then the material is squeezed or hammered in a series of tool steel dies to deform the billet into the finished shape. Flash casused by excess material after forging is exsited, so the final step is to remove the flash to yield the finished forged part. Hot forging is a near net shape process, but some forgings may require some subsequent machining, in particular for surfaces that may affect the final assembly of a product.